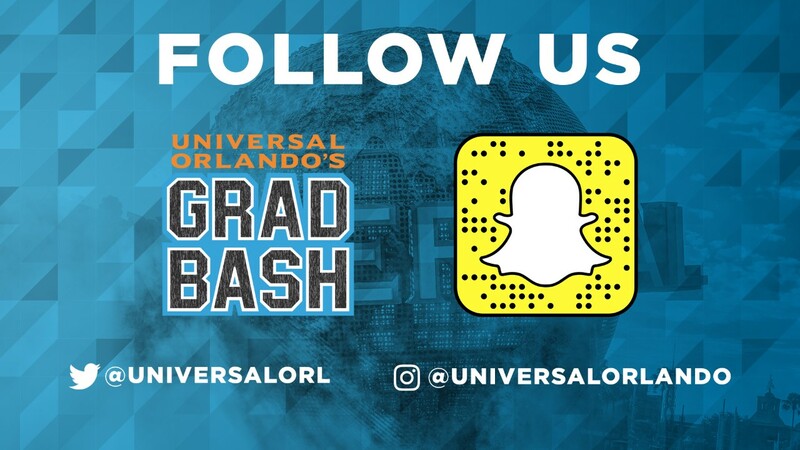 Universal Studio’s Grad Bash is an event that only Seniors may attend. Friday April 12, 2019 from 4:00 pm – 2:00 am the park is open for rides and musical entertainment. This year's headline is TBA. Students may only arrive in buses. We will leave school at approximately 1:30 pm and arrive back on campus approximately 4:30 am. The cost is $155 which includes admission and bus fare. We have 150 guaranteed spots (190 if there is demand), available on a first come, first served basis. UPDATE 1/10/19: Interest in this event has lead us to secure a 5th bus for this trip. We had gathered a Wait List and students who signed up have been notified of the new sale. All remaining open spots will be on sale 2/5-2/8. Students will need to bring a permission slip and Cash or Check for $155 to 3245 after school. This year we are going on the Mix-in ticket, which means access to both Universal Studios™ and Universal’s Islands of Adventure™ beginning at 4 pm. Easy entry between both theme parks via a dedicated event crossover path. Then the general public leaves around 6 and ONLY SENIORS from around the country are left to enjoy the park until 2 am. The cost of transportation and admission is $155. Payment is accepted online 11/1-11/13 at pcsb.revtrak.net/High-Schools/east-lake-high/elhs-senior-class/#/list You must bring the required permission form to Mrs. A. Dorrier in room 3245 within ONE WEEK of purchase or your money will be refunded (minus the service fee) and your spot will not be held. Additional sales may be held, if spaces remain. We have 3 buses with 150 spots guaranteed. A 4th bus is possible if there is demand. Once all buses are filled, no more tickets will be sold. Bring photo I.D. to the event. Admission Sales are non-refundable after Jan 31, 2019. Students must ride a chartered bus with the rest of the group. No private cars are permitted. Students will sign up for a bus when admission is purchased/permission slip is turned in. Students who do not sign up for a bus will be randomly assigned. Students may not change their bus assignment once they sign up. Students who purchase someone else's ticket (see GRAD BASH TICKET TRANSFERS) must take that person's place on the original bus assignment. Dress Code is set by East Lake High School, Pinellas County School Board and by Universal Studios. Students must adhere to dress code to board the bus. Failure to follow the Grad Bash Dress Code may result in delayed admission and/or denial of admission to Grad Bash. Merchandise will be available for purchase at event entrances for those in non-compliance who still wish to enter the event. Universal Orlando Security has the right to refuse admission to anyone they deem inappropriately dressed. All outfits must remain intact for the entire Universal’s Grad Bash event. Leggings, soccer and yoga pants are acceptable – as long as they are not see-through. Clothing articles affiliated with any sport (any level), musical singer/group, group or club are not allowed. Clothing affiliated with any high school, sports team, group, club, etc. *Universal Orlando Resort team members and Event Staff have the right to refuse admission to anyone whom they deem to be dressed inappropriately for the event and not in compliance with these guidelines, and will continue to enforce this dress code throughout the event. Merchandise will be available for purchase at event entrances for those in non-compliance who still choose to enter the event. The deadline for transfers is April 11, 2018 (the day before the event) by the end of the school day. Potential sellers are responsible for finding another ELHS senior who wants to buy a ticket. Students who buy someone else's ticket must submit the appropriate paperwork (permission slip) to Mrs. A. Dorrier when the ticket is transferred. Buyer and seller must go together to see Mrs. Dorrier. The exact ticket price must be exchanged in the presence of Mrs. Dorrier and a document must be signed by both parties. Students who purchase someone else's ticket must take that person's place on their original bus assignment. Tickets cannot be transferred without following this procedure. All students attending Grad Bash must be graduating seniors for their respective year. All seniors must arrive with their schools – seniors are not allowed to drive separately. Students will be going through a security check upon entry. Anything deemed inappropriate will be confiscated and may not be returned. Any illegal substances or items will be dealt with by the appropriate authorities. Dress code will be checked and must be adhered to. Students who have been recommended for expulsion or who have serious disciplinary issues at school should not be permitted to participate in this event. Seniors who have Universal Orlando Annual Passes will not be able to use them to get into Grad Bash. All seniors must purchase a Grad Bash ticket in order to attend. If you have a PRESCRIPTION MEDICATION that will need to be taken with you, guidelines must be followed and paperwork submitted to both Pinellas County Schools and Universal Studios. Please see Mrs. Dorrier in room 3245 to receive instructions on the process.